Innovative marketing campaigns from around the world. British Airways stretched an emotional idea that Coke had executed earlier to make a viral success. But what caught my attention more is the engagement the brand had with its audience through the Comments on Youtube. 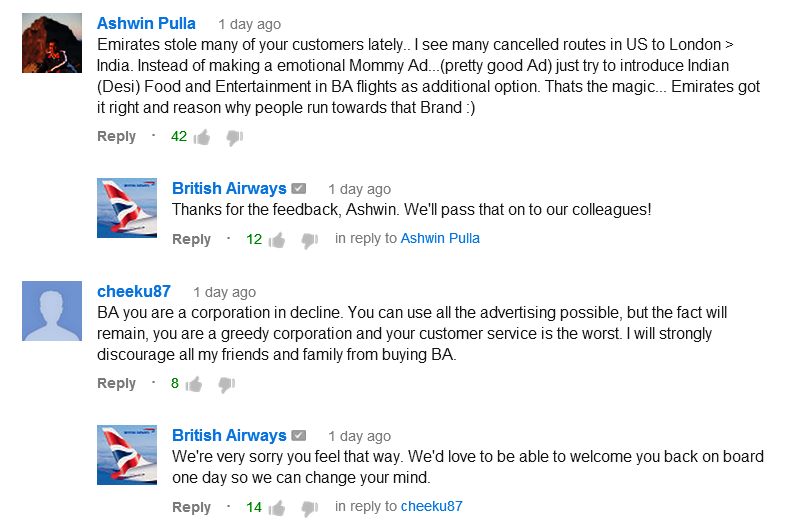 Comments on social networks are an amazing way for brands to engage with its audience. Its nice to see a big brand recognise it and use it beautifully to get back its share of market by atracting, pacifying and engaging its target audience. 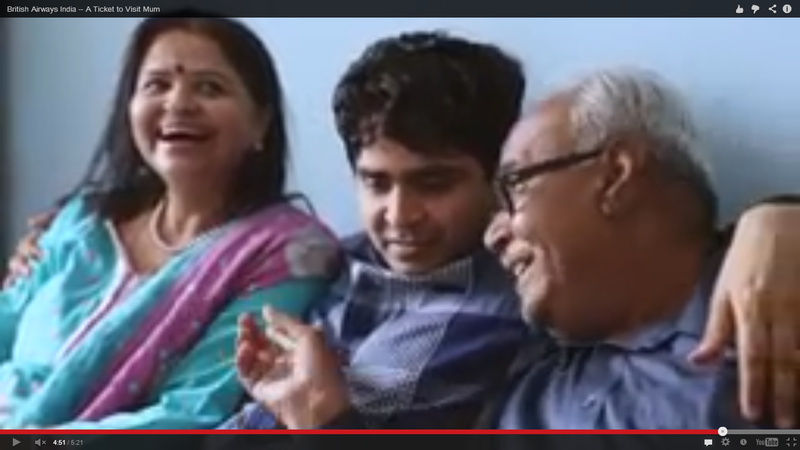 Click on the Youtube logo on the video above to go to the video on Youtube to see the latest interaction on this video. British Airways inspiripped the following Happiness campaign by Coke for their latest success. Coke's execution seems geniune, more authentic and helpfull... though they use it to sell sugary brown water. 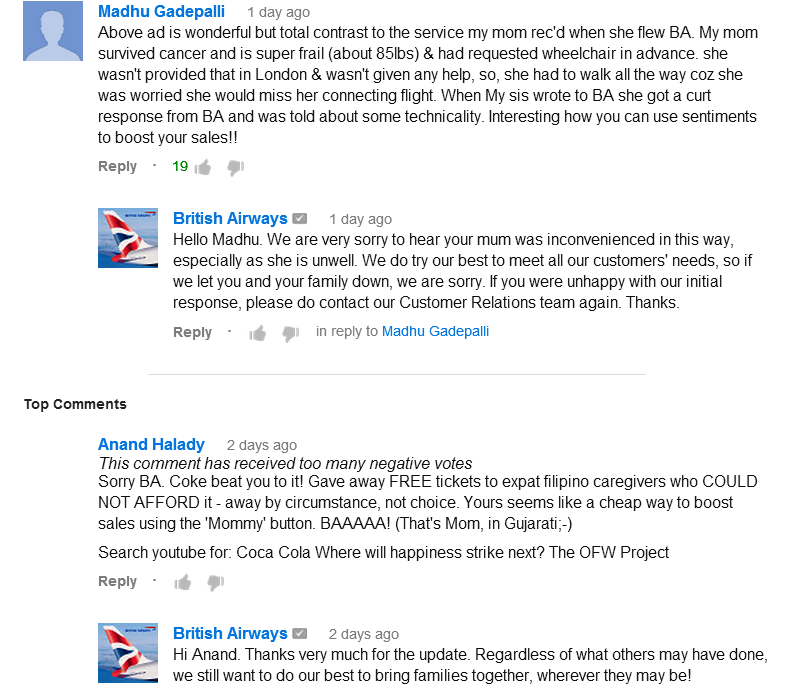 While British Airway's emotional campaign tries to get people to travel more.. that too on their flight. The category of travel seems more geniune than that of carbonated water. I am not sure which of these campaigns is actually better. But they both touch a chord deep within us to manifest a profitable relationship with these brands. You loved these the most! 8 Ways Baba Ramdev’s Patanjali Can Capture South India! Coca-Cola brings Indians and Pakistanis closer. Amazing!!! Copyright www.plink.co.in | Template. Awesome Inc. theme. Powered by Blogger.